​Championship favourites Stoke are interested in making a move for ​Bournemouth midfielder Harry Arter, with the player's future at the club looking increasingly uncertain. According to the ​Sun, Bournemouth's £25m capture of Jefferson Lerma from Levante has thrown Arter's future at the club into doubt, and the 28-year-old is said to be willing to consider a move away in order to secure first-team football for the upcoming season. Stoke manager Gary Rowett is keen to add Arter to his ranks in order to add depth to his midfield. However, the Potters face competition from the likes of Championship rivals Middlesbrough, as well as Premier League duo Newcastle and Cardiff. Though Arter's preference would supposedly be to play regularly, Bournemouth are happy to keep the midfielder at the club. Arter joined the Cherries in 2010 for just £126k and has helped the club ascend the football ladder to become ​Premier League regulars in recent years. 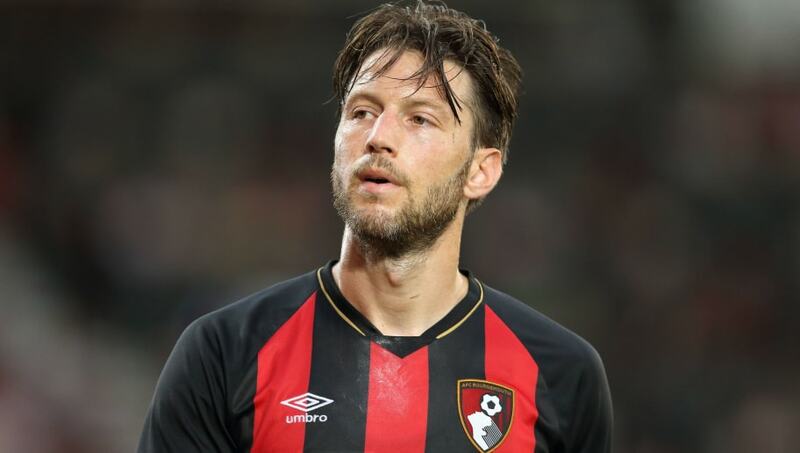 Though Arter may not have cost Bournemouth a lot eight years ago, it is believed that any club looking to sign the player would have to offer around £10m. Arter said on Monday: “I just want to be playing football this season. “I can’t afford to be sitting on the bench. Bournemouth have had a relatively quiet summer in the transfer market, bringing in Welsh midfielder David Brooks and Spanish full-back Diego Rico prior to their capture of Lerma.